That it's located on Paradise Road is fitting, as the Westgate Las Vegas Resort & Casino is a slice of Vegas paradise in itself. 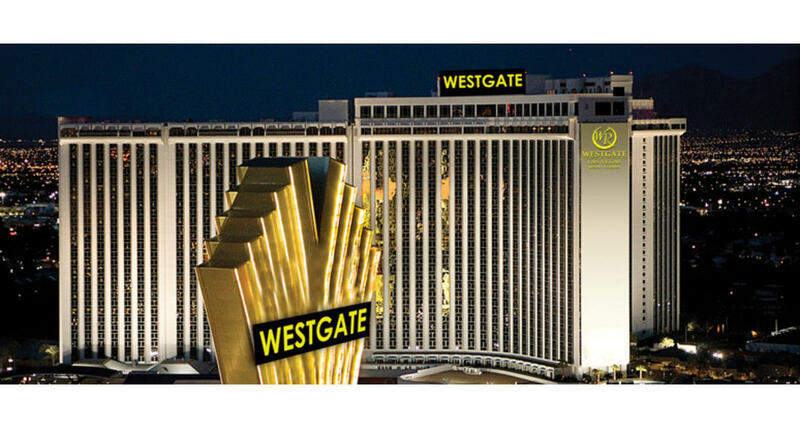 A block from the Strip and adjacent to the Las Vegas Convention Center, the Westgate is a true destination resort, treating 2.5 million guests each year to plush accommodations, a fine collection of restaurants and a dynamic gaming experience. The Westgate Las Vegas Casino & Resort has 200,000 square feet of meeting space for conventions. The resort has over 2,900 rooms that feature opulent décor, wireless Internet service and spectacular views of the Las Vegas Valley. The host of guest amenities includes lighted tennis courts, a full-service health club and spa, beauty salon and a large, heated pool. The Westgate Las Vegas Resort is known for its indoor entertainment as well, starting with the 1,700-seat Theater that presents top headliners. Meanwhile, in the Westgate Cabaret, you'll enjoy a more intimate entertainment experience with touring musical and variety acts. The rest of the Westgate Las Vegas Hotel's casino floor measures 95,000 square feet and features all the Vegas-style action you can imagine, slots, table games, and its famous "SuperBook®." One of the biggest and best race and sports books in town, it features lots of big HDTV screens, comfortable seating and attentive cocktail servers. Here you'll find the perfect dining experience to go with sports: Drafts Sports Bar & Grill Express. The Westgate Las Vegas Resort & Casino also has several fine-dining restaurants, from the exhibition-style Japanese cuisine at Benihana to the intimate atmosphere of Edge Steakhouse, as well as casual options including the expansive buffet and Sid's Cafe. If you feel the need to experience the rest of Las Vegas, a monorail station is right on the premises.